Mario Kart Tattoo Sleeve. 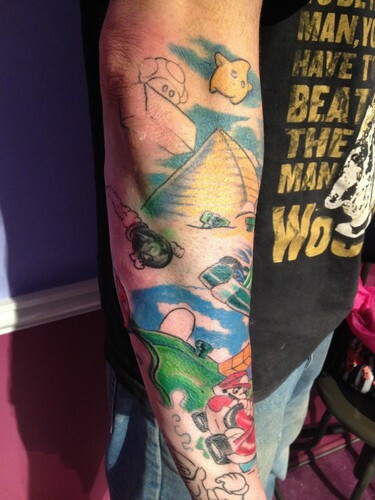 A Mario Kart Tattoo Sleeve in progress. Done 의해 Adal at Majestic Tattoo NYC. Now that's dedication. www.majestictattoonyc.com. HD Wallpaper and background images in the Mario Kart club tagged: mario cart mario tattoo mario mario kart.